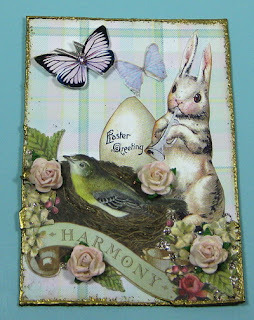 Easter is almost here, can you believe it?...where is the time going?...Over at Alpha Stamps art group they're having a Easter Bunny ATC swap. 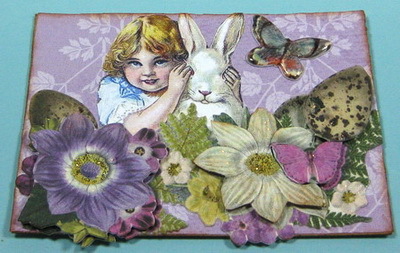 We are to create 3 ATC's using at least one of their images and in 3D. These are the ones I made for the swap. I must admit I haven't really done any in a while but what can I say....I love Easter. They are all so sweet...especially the last one. Love them. 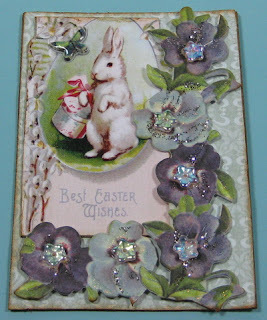 Melanie, your cards are fabulous!It is so much fun to see everyone's take on the theme and how they use the images. Can hardly wait to receive my trades! WOW Melanie!! How gorgeous are your creations? Your Domino book has to one of the prettiest things ever! Your memorial to your mom brought me to tears. I lost my mom in May of last year, and I miss her so! Thank you for your sweet visits too! Would you mind if I hi-light your blog sometime soon? Thanks either way!! 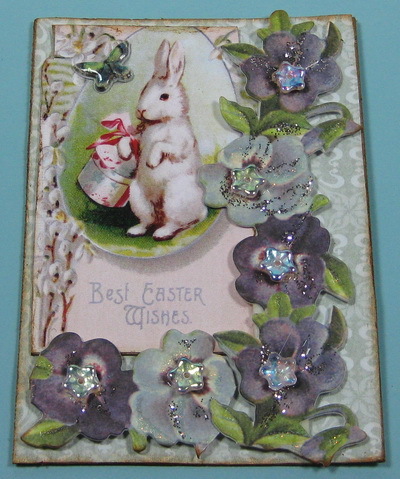 your Easter ATCs are beautiful!